This week in our Foreign Student Series, we talk about military education programs in the United States. There are public and private colleges and universities that offer military educations. 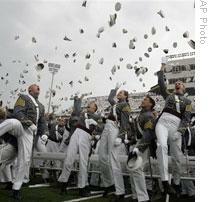 But international students can also attend the nation's five service academies. Three of these come under the Defense Department. The United States Military Academy at West Point, New York, prepares officers for the Army. The Air Force Academy is located at Colorado Springs, Colorado. And the Naval Academy is in Annapolis, Maryland; it prepares officers for the Navy and the Marine Corps. Nominees for these academies must be seventeen to twenty-three years old, unmarried and with no children. Candidates are usually nominated by members of Congress. International candidates are nominated by their home governments, which pay for their education. Each government has its own requirements for military service after students graduate. Americans who attend these four-year colleges must serve at least five years of active duty. The Defense Department chooses more than one hundred countries every year and invites them to nominate students to the academies. As many as sixty foreign students may attend each school at any one time. For example, the next class at the Naval Academy will include eighteen foreign students, four of them female. This will bring the total number of foreign students at the Naval Academy to fifty- three. Tim Disher, head of international programs, says those interested should contact the agency that includes their own naval department. Plus, all of the academies have admissions information on their Web sites. International students can also attend the Coast Guard Academy in New London, Connecticut, and the Merchant Marine Academy in Kings Point, New York. The Coast Guard Academy can have thirty-five international students at any one time; the Merchant Marine Academy, thirty. These schools have their own entrance requirements. The Coast Guard Academy says interested students should contact the defense attache at their local United States embassy. Foreign students interested in the Merchant Marine Academy must request application forms directly from the admissions office. 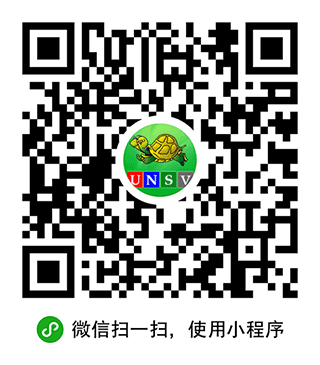 Does military education program open to Chinese student ?